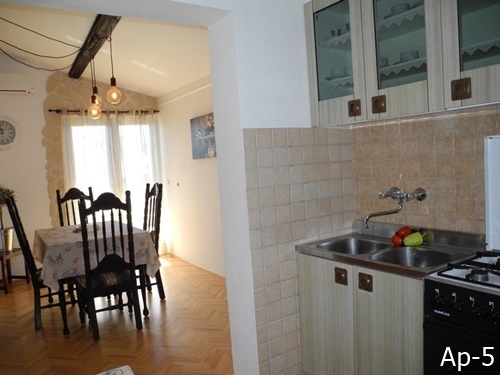 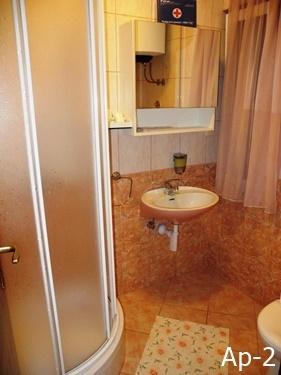 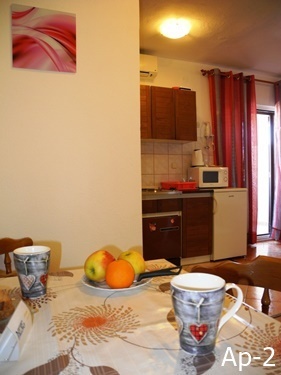 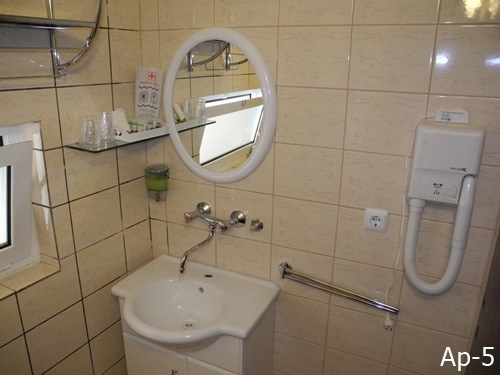 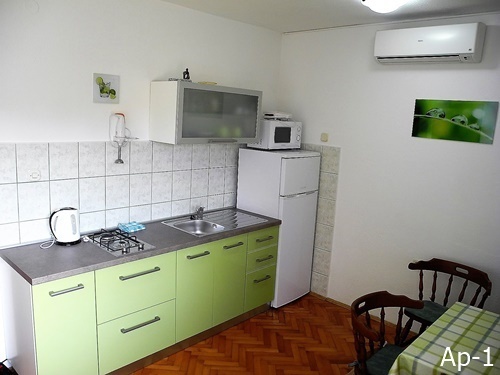 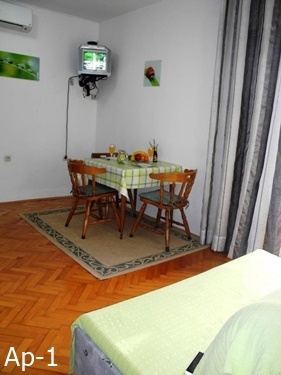 Apartments "Palčić" are located about 800 meters to the city center. 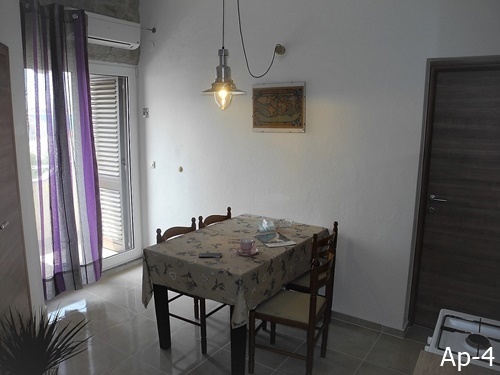 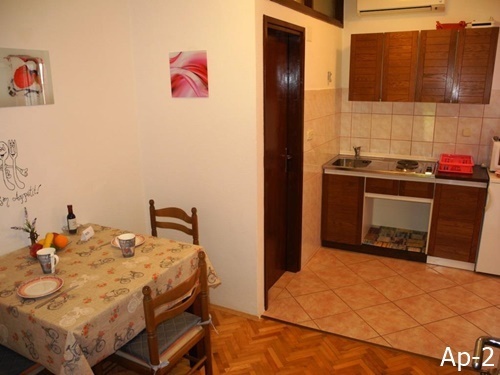 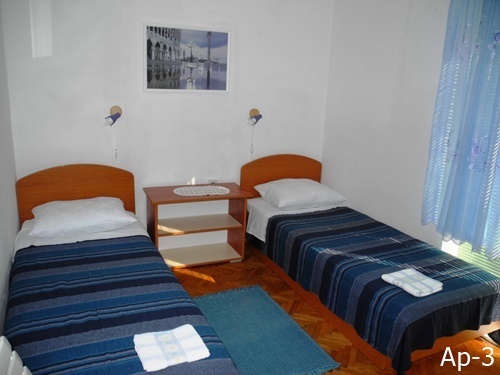 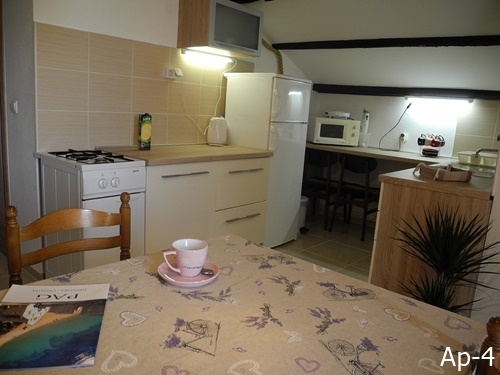 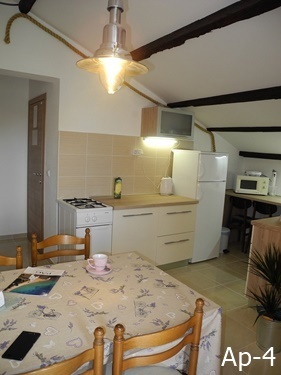 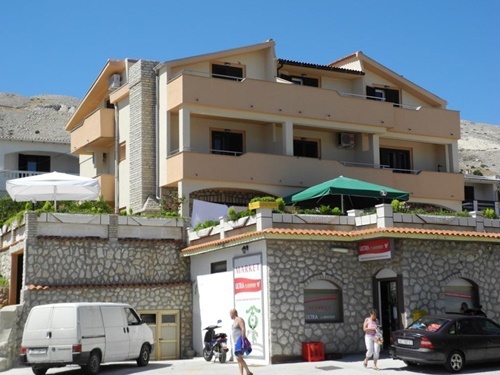 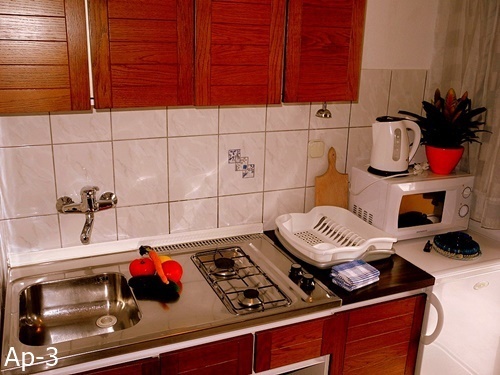 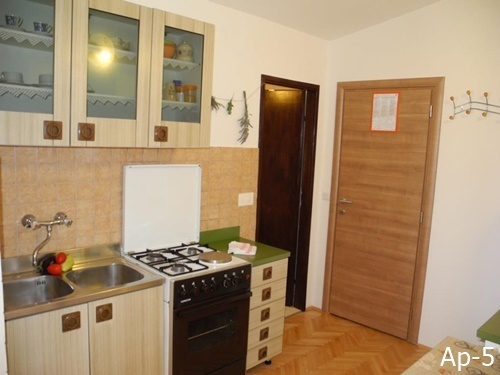 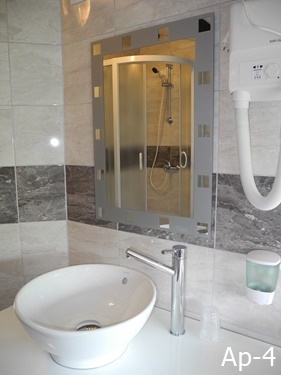 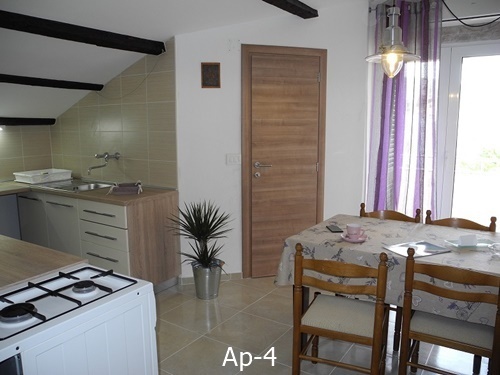 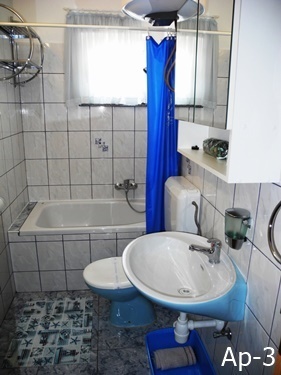 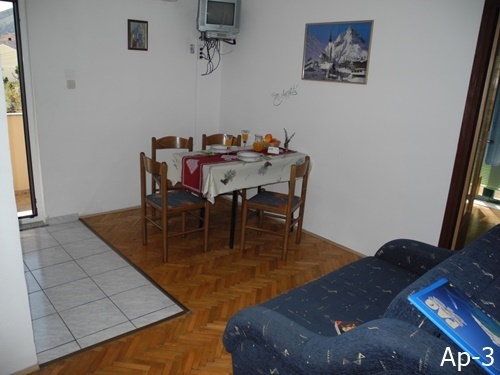 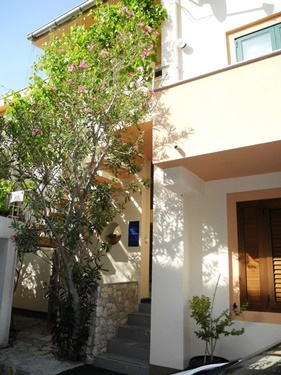 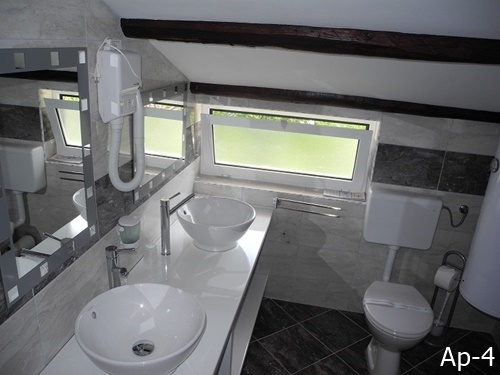 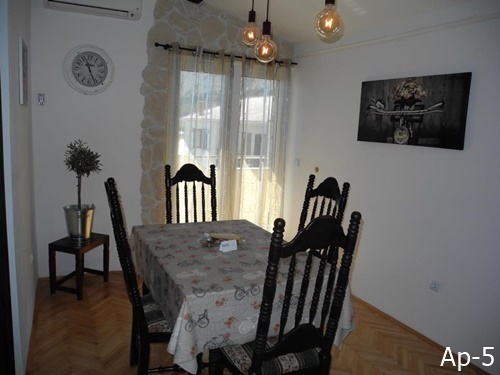 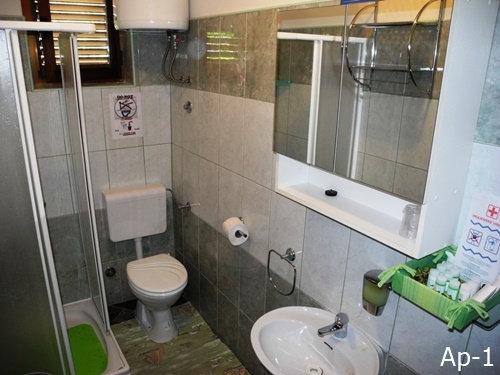 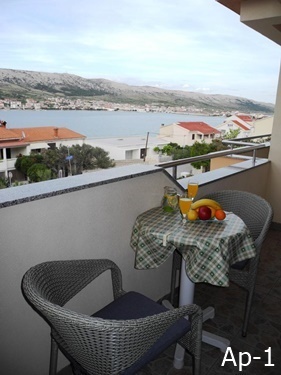 We offer you five apartments of different sizes for 2-6 persons. 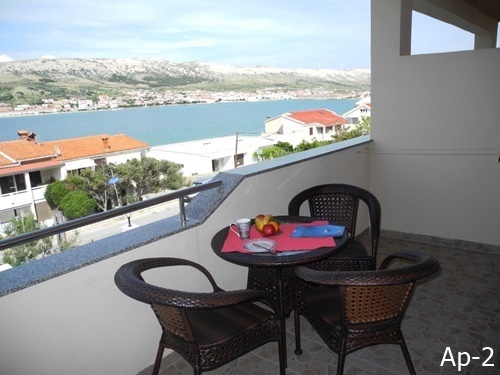 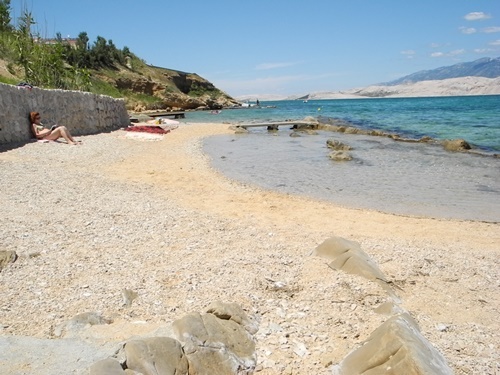 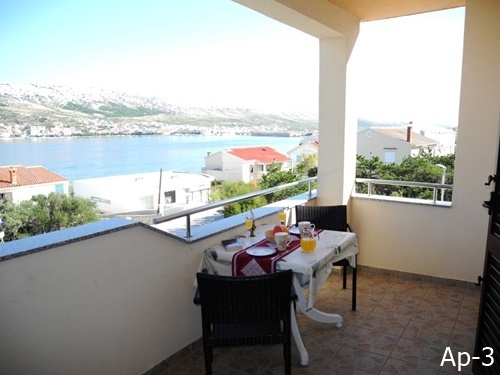 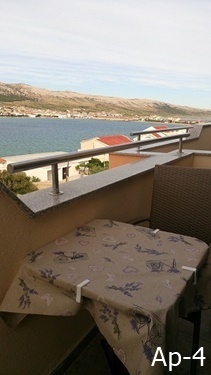 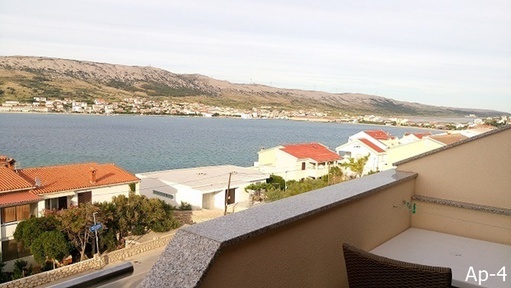 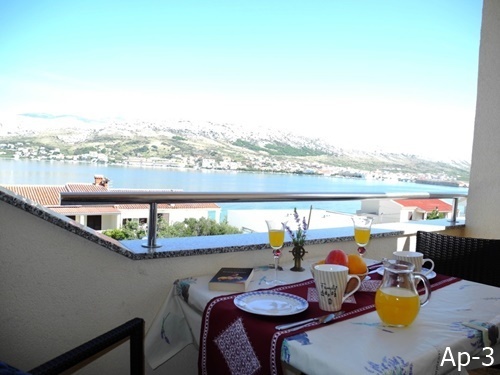 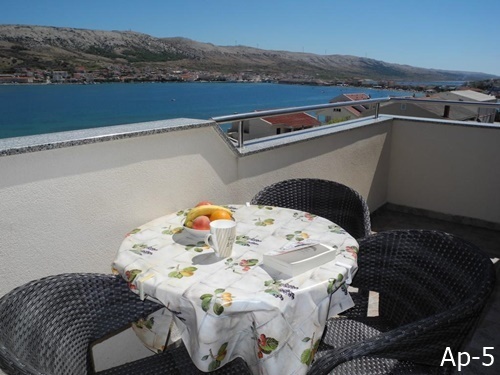 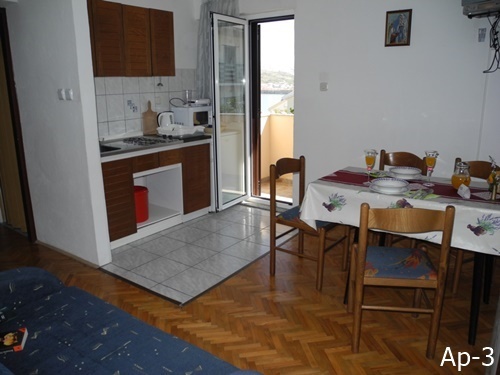 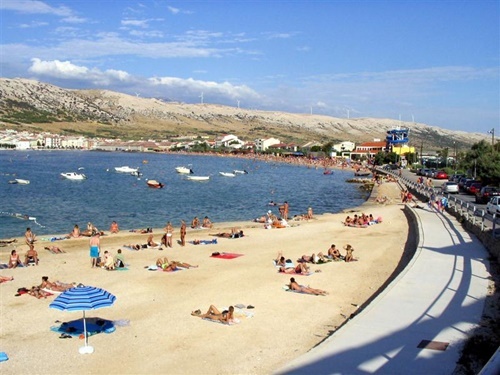 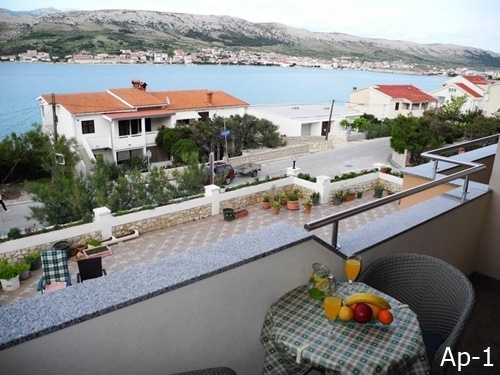 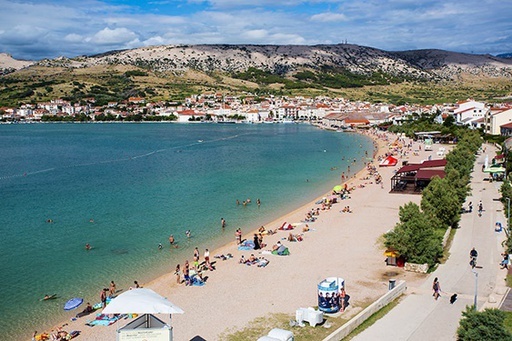 Each apartment has its own entrance and large balconies with beautiful views of the sea and the Pag bay. 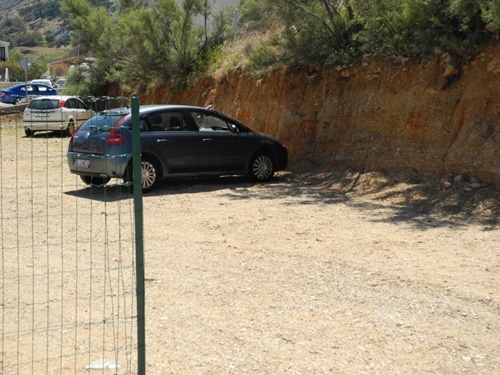 The parking lot for our guests is ensured. 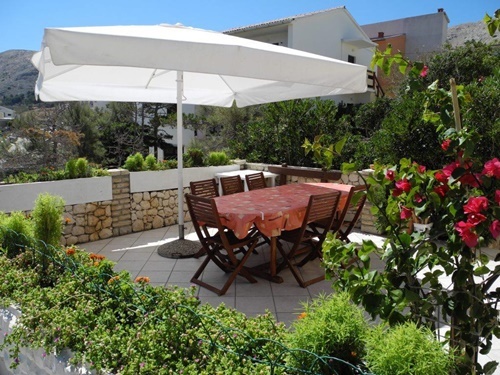 In the yard you can use the barbecue and the large terrace. 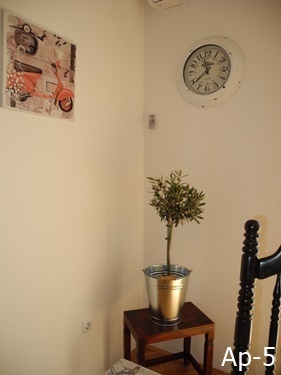 Sojourn tax, WiFi and security are included in the price. 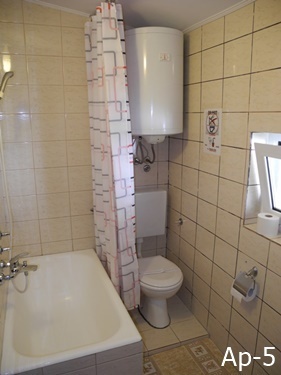 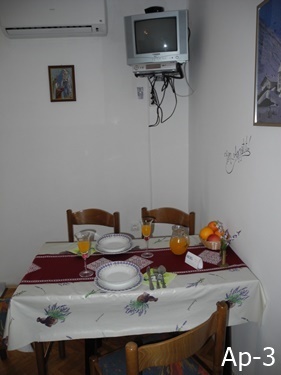 Air condition if guest wants and price is 9 euro / day. 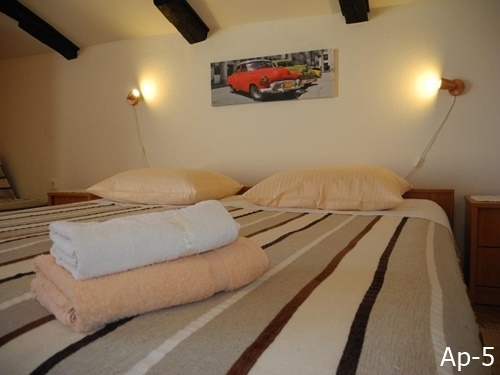 For first minute bookings we approve discounts.